The Variation Theory of Comparative Literature, Springer, Heidelberg Germany, 2013. 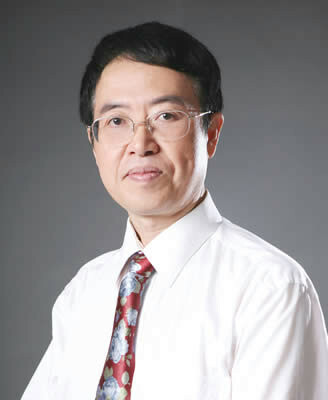 Beijiao Wenxue (Comparative Literature),Northeast Normal University Press, Changchun, China, 2011. Beijiao Wenxue Xuekeshi (History of Comparative Literature), Bashu Book, Chengdu, China,2010. Xinshiye Daxue Yuwen (New Horizon College Chinese), Peking University Press, Beijing, China, 2008. Zhongxi Bijiao Shixue Shi (Comparative History of Chinese–West Poetics), Bashu Book, Chengdu, China, 2008. Kua Wenhua Bijiao Shixue(A Cross-cultural Poetics), South Korea, 2008. Bijiao Wenxue Jiaocheng (A Course Book of Comparative Literature), High Education Press, Beijing, China, 2006. Dongfang Wenlun Xuan (Anthology of East Literary Theories), Sichuan People’s Publishing House, Chengdu, China,2006. Bijiao Wenxue Xue (Theories on Comparative Literature), Sichuan University Press, Chengdu, China, 2005. Bijiao Wenxue Lun (Theory of Comparative Literature), Sichuan Education Publishing House, Chengdu, China, 2005. Shijie Wenxue Fazhan Bijiao Shi (A Comparative History of World Literature: An Evolution ), Beijing Normal University Publishing Group, Beijing, China,2001. Beijiao Wenxue Xueke Lilun Yanjiu (Research on Theorizing Comparative Literature Studies), Bashu Book, Chengdu, China, 2001. Zhongguo Gudai Wenlun Huayu (Discourse of Literary Theories of Ancient Chinese ), Bashu Book, Chengdu, China, 2001. Zhongwai Wenxue Kuanwenhua Bijiao (Comparative Study of Literature of Chinese and Foreign: A Cross-cultural Perspective), Beijing Normal University Publishing Group, Beijing, China, 2000. Zhongwai Bijiao Wenlunshi (Comparative History of Chinese and Foreign Literary Theory), Shandong Education Press, Jinan, China, 1998. Bijiao Wenxueshi (History of Comparative Literature), Sichuan People’s Publishing House, Chengdu, China, 1990. Lianghan Wenlun Yizhu (Annotated and Translated of Literary Theories of Han Dynasty), Beijing Publishing House, Beijing, China, 1988. Zhongxi Bijiao Shixue (Chinese and West Comparative Poetics), Beijing Publishing House, Beijing, China, 1988.